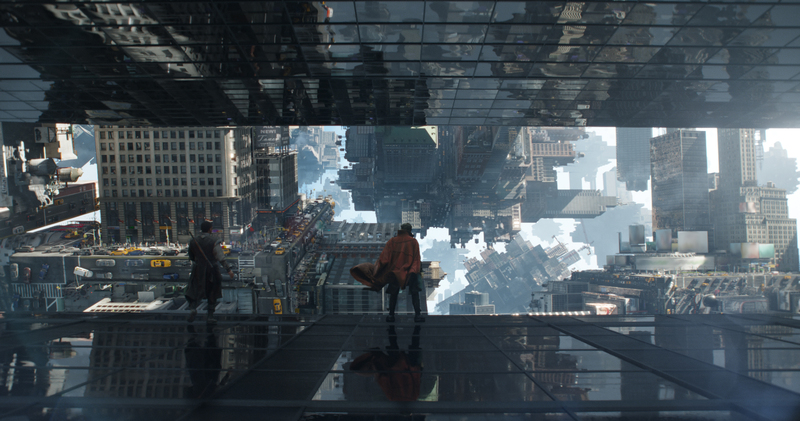 Doctor Strange opens up a whole new corner of the Marvel Cinematic Universe. And not everyone in it is very nice. If The Avengers opened us up to the classic superhero side of the MCU and Guardians of the Galaxy shared with us the cosmic side, then Doctor Strange reveals to us the mystical. Skillfully portrayed by Benedict Cumberbatch, the good doctor comes alive for the first time, but certainly not the last. Director Scott Derrickson does a masterful job of leading us into this realm of the MCU. Like Strange himself, all of us are new to the wonder and mystery of the mystic arts, and as the story unfolds on the screen we are taken on a journey along with Doctor Strange into the depths of it all. Questions that fans of the other Marvel movies might have asked are answered during the film. Like why doesn’t the average human being notice these huge mystical battles happening all around them? And how does this film tie into the greater story being told in the overall arc of the Marvel Cinematic Universe? Marvel’s DOCTOR STRANGE..L to R: Mordo (Chiwetel Ejiofor) and Doctor Strange (Benedict Cumberbatch) witness the reality altering powers on display before them by Kaecilius ..Photo Credit: Film Frame ..©2016 Marvel. All Rights Reserved. Mads Mikkelsen does a convincing job as Kaecilius, the villain of the movie who threatens the very existence of reality as we know it. Only by protecting the mystical centers of power on the Earth can he be stopped – and they aren’t doing a very good job of stopping him. Interestingly, Kaecilius was a minor character in the comic books and his role is fleshed out in this movie as a disillusioned disciple of The Ancient One who steals a crucial spell from the Ancient One’s personal collection. If he casts it, he will open up the Earth to the Dark Dimension which would bring certain doom to the planet. It is up to a team of sorcerers under the guidance of The Ancient One to bring Kaecilius to heel. 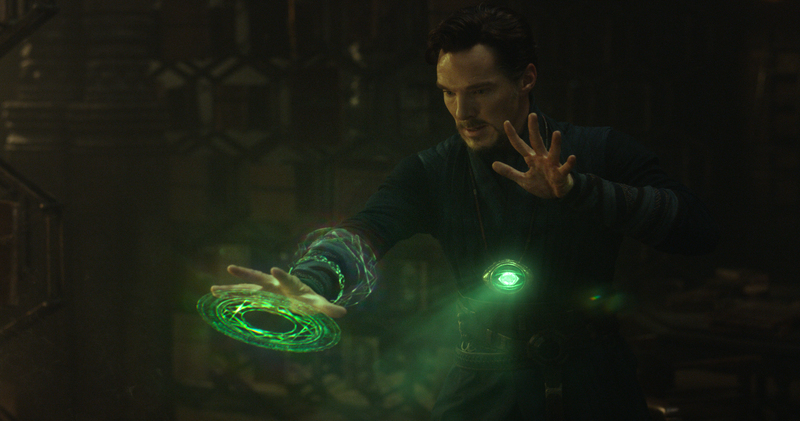 Marvel’s DOCTOR STRANGE..Doctor Stephen Strange (Benedict Cumberbatch) wielding the Eye of Agamotto ..Photo Credit: Film Frame ..©2016 Marvel. All Rights Reserved. 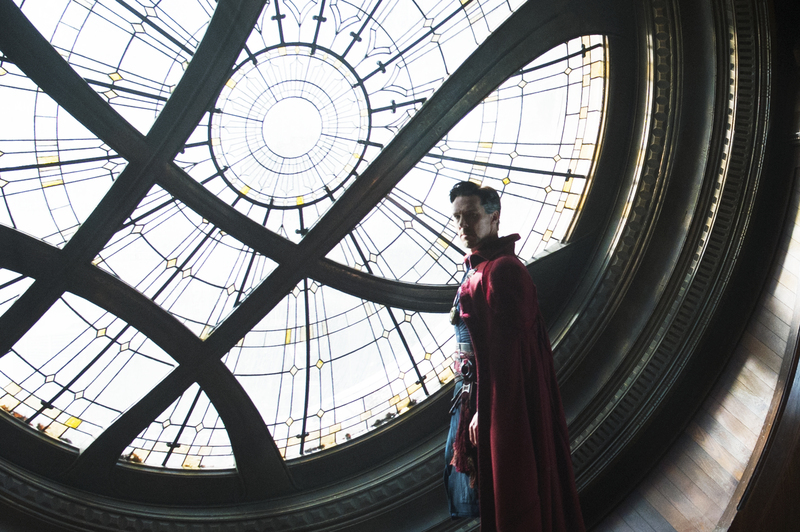 Marvel’s DOCTOR STRANGE..Doctor Stephen Strange (Benedict Cumberbatch) in the New York Sanctum Sanctorum ..Photo Credit: Jay Maidment..©2016 Marvel. All Rights Reserved. Overall, this is a welcome addition to the Marvel Cinematic Universe. 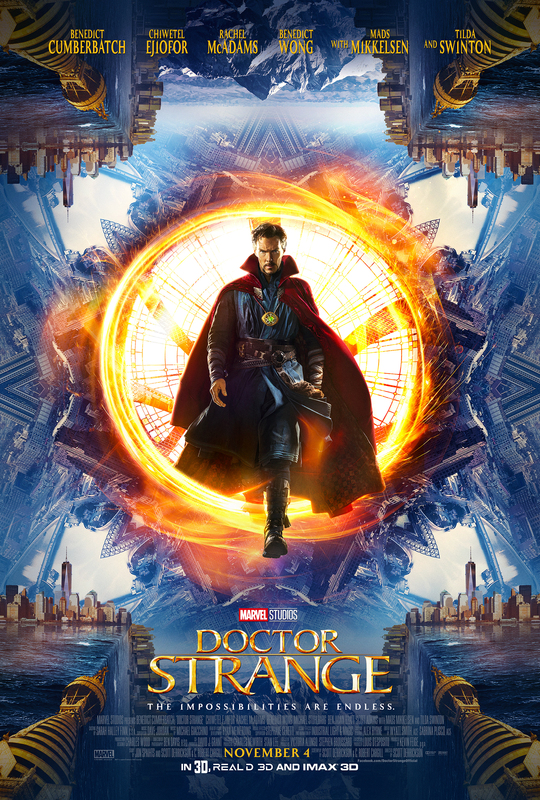 Benedict Cumberbatch does a fantastic job as Doctor Strange and its easy to see why Director Scott Derrickson and Producer Kevin Feige were willing to push back the release of the movie just to include him. Tilda Swinton is convincing as The Ancient One. So much so that you’ll wonder if she could actually cast spells. Mads Mikkelsen does a very spooky and threatening villain. And supporting roles by Rachel McAdams as Christine Palmer, Benedict Wong as Wong, and Chiwetel Ejiofor as Baron Mordo all add depth and flavor to the newest Marvel film. Oh and did I mention Dormammu? What would a Doctor Strange movie be without Dormammu? He is to Strange as Loki is to Thor, as Ultron is to the Avengers, and as Thanos is to the Guardians of the Galaxy. The ultimate mystical villain against the eventual Master of the Mystic Arts. But you need to see the movie for yourself. Just mind-blowing. Fans of the Doctor Strange comic book will be happy to see that the story is in all the important ways faithful to the origins of the character. Those who have never heard of Doctor Strange need not worry. If you like action-adventure movies or Benedict Cumberbatch or movies about magic, you’ll love this one. Go see it now! What are you waiting for? P.S. Unless you have vertigo or get dizzy looking at an Escher painting, this is a movie worth seeing in 3D! P.P.S. Make sure to stay ALL the way to the end! There is a mid-credits scene and THEN an end scene which hint at the direction of Doctor Strange in the MCU. Doctor Strange opens today in theaters nationwide. Next Next post: Mech X-4 – Excitingly Retro Show Launches on November 11!